Specifically, the COMPASS trial enrolled 270 patients into a prospective, randomized, open-label, blinded outcome assessment and core lab adjudicated trial to assess the clinical outcome of the patient, meaning how functional they were after treatment with either ADAPT using a large-diameter aspiration catheter (ACE™68) system, made by Penumbra Inc., or a stent retriever as first-line approach. 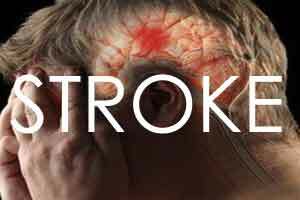 To compare clinical outcomes, researchers used the modified rankin scale for neurologic activity (mRS), a standard measurement of the degree of disability or dependence in the daily activities of people who have suffered a stroke which runs from 0 (no symptoms at all) to 6 (dead). The data showed that the ADAPT technique was non-inferior to stent retrievers for treatment of large vessel occlusions with 52 percent of patients treated with Penumbra’s aspiration system achieved the primary endpoint of functional independence (mRS 0-2) at 90 days compared with 49 percent of patients treated with stent retrievers. Revascularization speed demonstrated a non-significant trend in favor of aspiration with a 10-minute numeric advantage in achieving reperfusion success (p=0.0194). Quality of revascularization was comparable between the therapies, with the final rate of revascularization success (TICI 2b) being 92 percent and 89 percent, for ADAPT and stent retriever, respectively (p=0.54). Moreover, the percentage of patients achieving full reperfusion (TICI 3) was 38 percent for the ADAPT arm and 29 percent for the stent retriever arm (p=0.15).